Suffering from hair that feels stripped after washing? Keep getting those knots at the ends of your hair? Oil Rinsing will change that. Try it, then tell me how it works. First thing first. What is an oil rinse? Basically its when you put oil in your hair and then rinse it out! Simple right? It is! And it is life changing! Yes I said it! This is great for hair that is relaxed or natural. The purpose of this: it adds oils back to your hair that the shampoo strips out, leaving your hair feeling soft and without the “squeaky clean” dry feeling. Results.. A-maz-ing! 1. Detangle well and shampoo your hair in sections. I shampoo my hair in 4s. I create two large twists in the front and two in the back. 2. Wash your hair with shampoo as you normally would. However, before you are finished with your final rinse of the shampoo : STOP!! 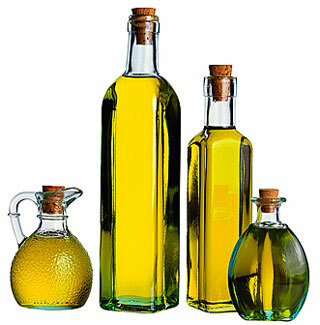 There are various oils that you can use for oil rinsing. TIP: I would recommend putting the oil in an applicator bottle for an easy application. 3. While the shampoo is still in your hair – Pour the oil liberally in each section coating every strand. Be gentle and run fingers through hair to make sure the hair is coated evenly (get those ends). You should notice the suds disappearing. 6. Rinse conditioner out of your hair with COOL water. 7. Apply leave-in conditioner and style as normal. Oil rinsing is a staple in my hair care routine. All of my friends love it, and I hope you will too! Tips: Avoid conditioners that have words ending with -cone on the label. Should be done only when shampooing your hair. Do you oil rinse? If so why or why haven’t you added oil rinsing to your hair care routing. Protective Styles Need Love Too..
Winter Natural Hair Challenge: ReignElle Edition | Who’s in? Working out with natural hair is easier that it has ever been. I dont have to worry about sweating, if anything my hair shrinks "up" so I dont have to worry about it getting in my face. I just workout and go! What do you think would be your biggest complication? @Anonymous No Problem.. I hope you try it and let me know how it worked for you! I was just wondering, why apply the oil rinse before the conditioner? when you rinse out the conditioner, wouldnt it totally remove the moisture/benefits of the oil. I would have thought the oil rinse should be done after shampoo-ing, conditioning, rinsing out the conditioner and then the oil rinse. Hey Anon! Thanks for the question. The main purpose of the oil rinse is to prevent your hair from being stripped of oils during its most fragile state. Most people experience breakage between the wash and the conditioning phase, this added step helps to transition your hair to the conditioning. The oil adds some slip and oil back to your hair that was just removed. It keeps your hair slick and reduces the likeliness of knots, tangles and most important dryness. Oil rinsing is one of those things, that just works. If you were to apply the oil to your hair after it was already conditioned, you would be upset to find that your hair is extremely oily, and no one wants greasy oily hair. Try it! You have nothing to lose. Tried the Oil rinse and it was heavenly just like you said it would be! How often should one oil rinse? Every time you wash or once a month, etc? So Happy You loved it! Share the details? What oil and shampoo do=id you use? And what was your biggest change that you found in your hair? You can do it every wash. But its most useful when its been a while since you washed last! Answer those questions! And happy I could help!